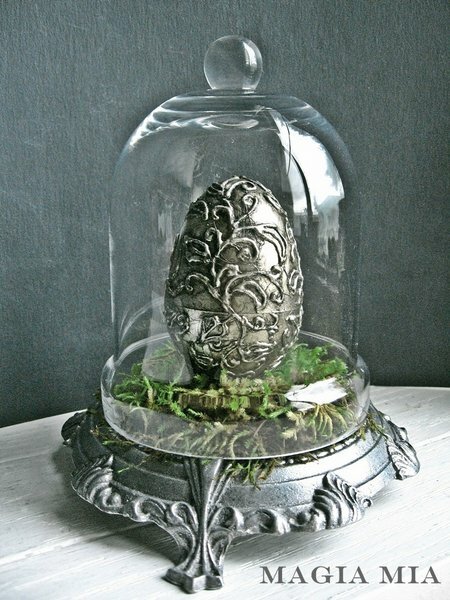 This amazing silver leafed egg is not from a high end boutique. This is a total DIY with such an easy process you won’t believe it! Can you guess how the design was made? I was so smitten by this wreath. 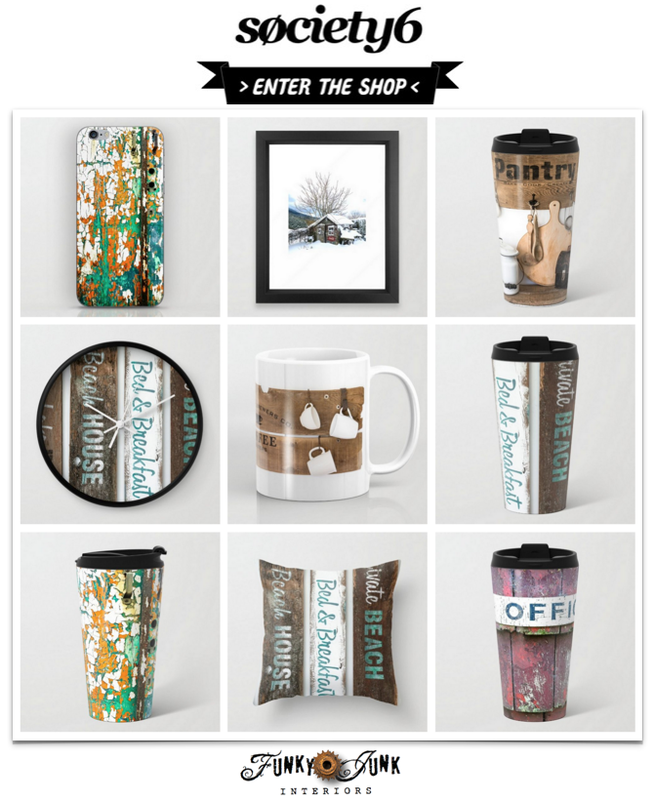 Not only do the eggs look real, I adore the messy moss addition. Totally off the charts sweet! 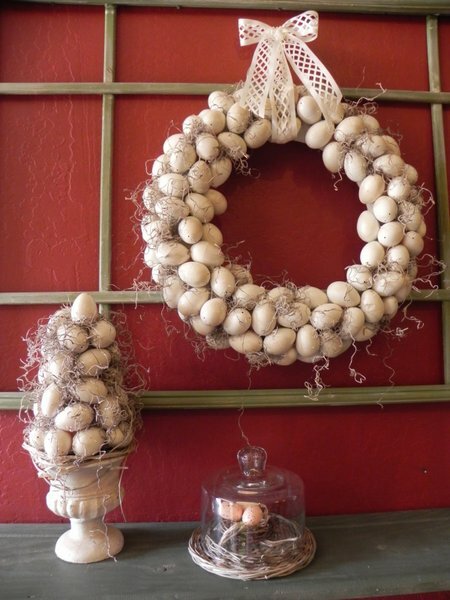 While not officially Easter decorating, it sure could be! 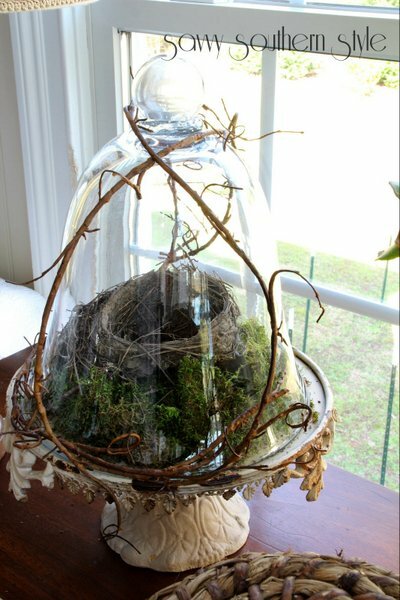 This authentic bird nest is simply enchanting inside a cloche… but what I super adore is the vine that adorns this feature. Add a few eggs and Happy Easter to you! 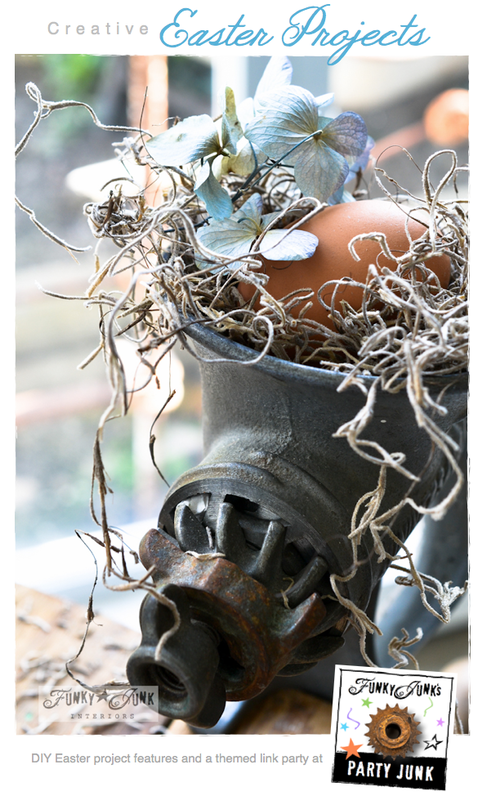 Breaking away from traditional Easter decorating, I brought out my own junk and raided the fridge and backyard, coming up with some frugal yet unique Easter displays. No mall shopping in sight! 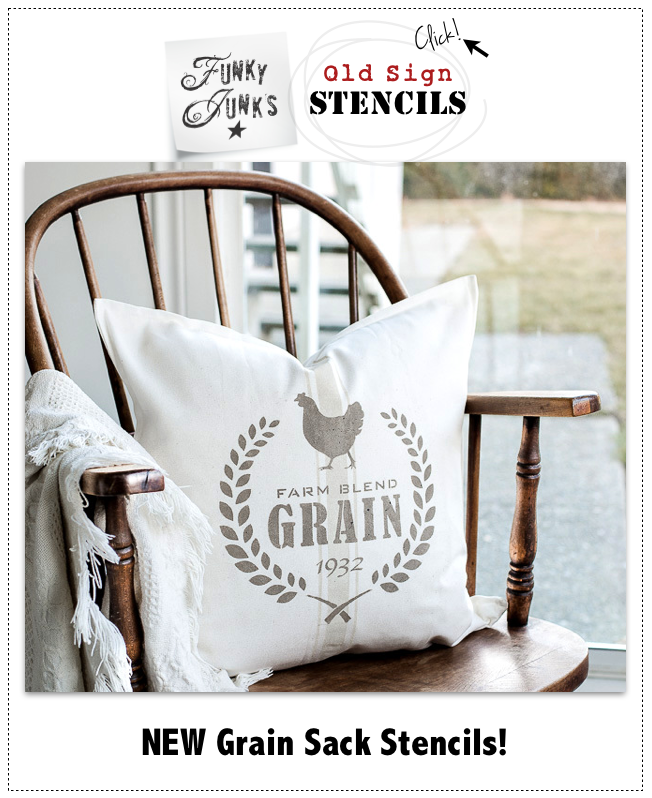 Once again, here’s another fab clipboard straight from HomeTalk, curated by At The Picket Fence! 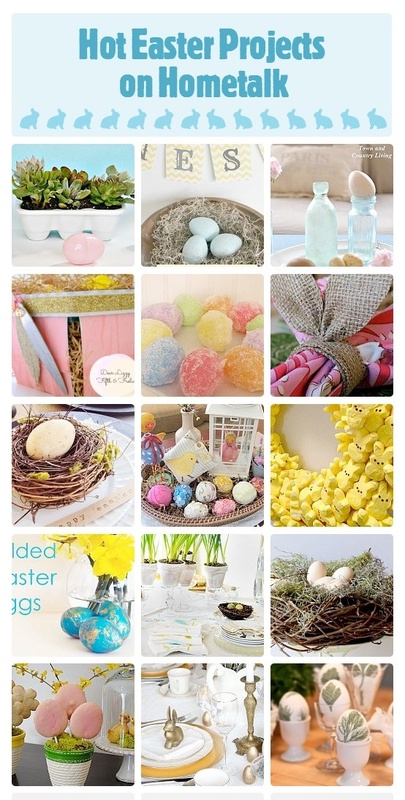 Share your own DIY Easter projects in this weekend’s 3rd themed linkup! Thanks so much for hosting! Have a wonderful Easter! Thank you so much for hosting! 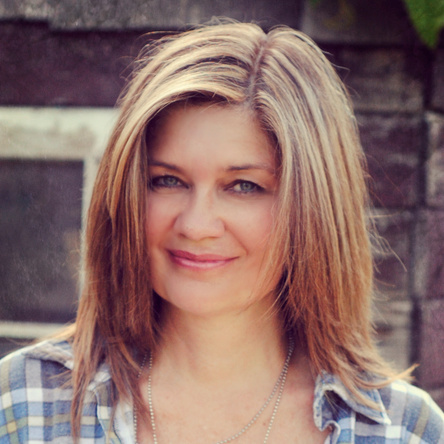 I know I’ve told you this before….but I LOVE your new blog design! Thanks so much for hosting the party again this week. Don’t tell anyone, but it’s the funnest party out there! Thanks so much for hosting! Hope you have a splendid weekend! Have a blessed Easter, Donna and thanks for hosting!! Thanks so much for hosting, Donna! Donna, thanks for featuring my cloche. What a surprise. Thanks soooo much for the party! HAPPY EASTER! Thanks so much for the party Donna! I hope you are enjoying the beautiful weather! Happy Easter! Such springtime delights! Thank you so very much for hosting. May Easter and all its eternal joy be a blessed day for you and yours. Thanks for the party. 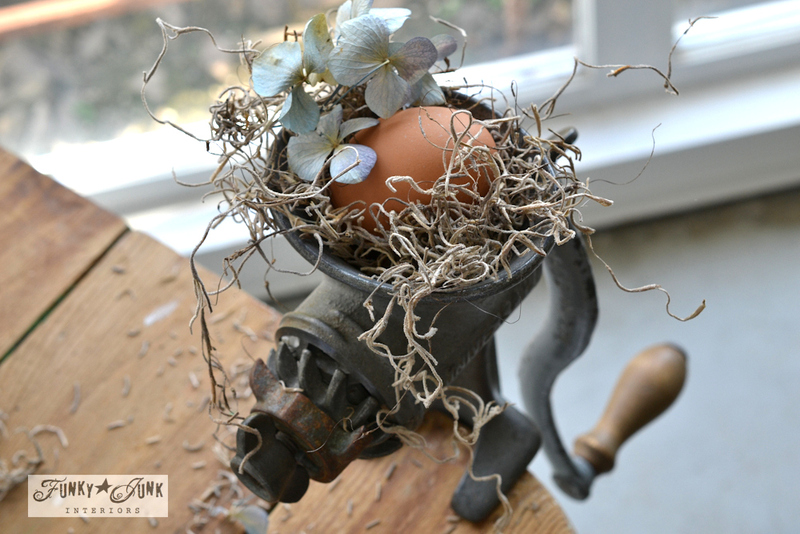 I’ve just posted this week’s Homemaking Linkup and would love to have you join, if you’d like. Thanks so much for hosting Donna!! Have a wonderful weekend! Happy Easter. So enjoying your new digs. 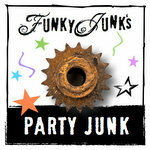 Hope it is filled with Junque and Junk!! (the kind you can eat too). Thanks for hosting!!! Have a wonderful Easter! thank you for hosting all the beauty and fun Donna. Enjoy your weekend and have a blessed Easter! Thank you very much for hosting! Your party is really great!